From the Consecration of this building in 1868, there has been a Pipe Organ heard every week in this magnificent space. When the present church was consecrated in 1868, the Pipe Organ was moved from the previous building and installed in the balcony (evidence of balcony can be seen by the rear sconces where you can see the outline of the original beams). As of this date, no photographic image of what the organ and balcony would have looked like exist, nor written information about the builder, or how large the pipe organ was. 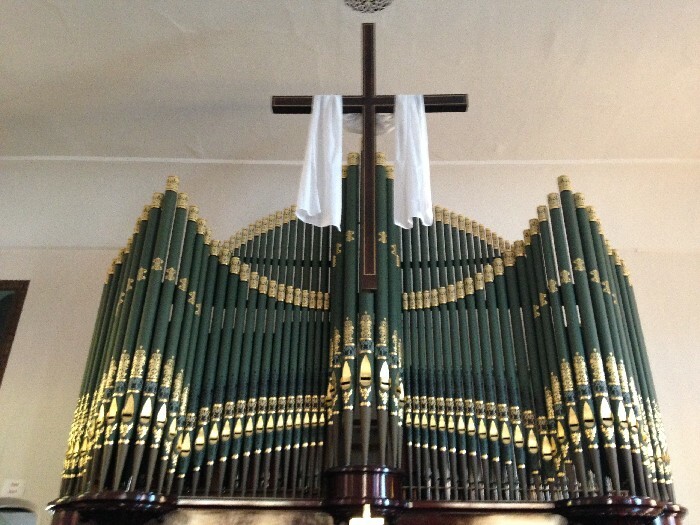 In 1906 Estey Organ Company was contracted to build a Pipe organ to be located down on the Chancel level. This organ was a 2 manual and pedal organ of 14 stops. The console was attached to the center of the current organ casework. Up till the 1950's the Choir would sing from behind the pulpit and on either side of the organist. Changes in worship trends led to a renovation of the nave and chancel resulting in the choir loft to the left of the organ case, and a new detached console installed with updated electrical circuits, and new reservoirs. By 1989 this console was unreliable and outdated electrically, and a new console was installed by Austin Organ Co. In the early 1990's deteriorating mechanical and electrical components of the organ were failing at increasing rates. It was also built as a "Romantic-Orchestral" organ that while popular in the early part of the 20th Century; only delivered a small fraction of sound for what one would expect from the size of the instrument. Further limits from the style of installation at the turn of the century meant that the mouths of the organ pipes were below the lip of the organ facade. This meant the sound of the organ didn't project into the room as much as into the woodwork. Also the swell-box was lined with a sound absorbent felt further limiting the capabilities of the expressiveness of the organ. 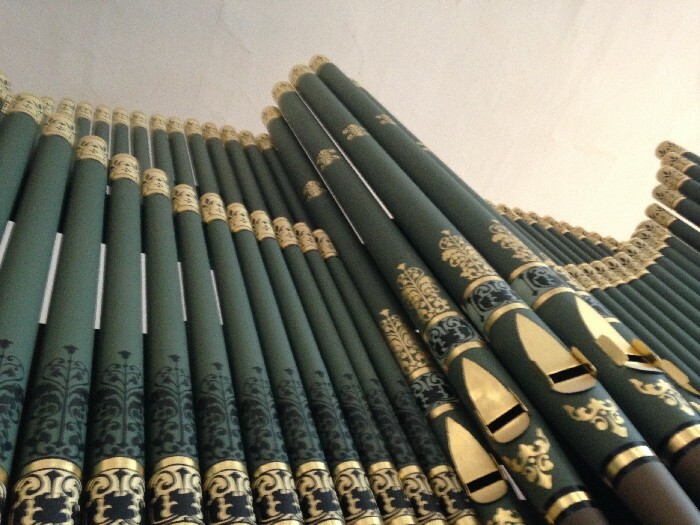 After gathering quotes from some local organ builders and visiting several of those companies installations around the seacoast, Faucher Organ Company of Biddeford ME was selected to build a completely new instrument. The salvageable parts of the organ which included some of the beautiful sounding ranks of pipes and the Austin Console shell, and the casework and facade pipes were incorporated into the new scheme. This new organ boasts 14 ranks of pipes, both new and rebuilt, providing the core sound of the organ of both Principal and Flute Choruses. They are the workhorse stops of the organ providing the base of support for inspired congregational singing. New organ chests and reservoirs were custom built of Mahogany and Poplar. Hardwood such as this further reflect and project sound. The new Swell box is custom-designed with shades on the side wall facing the choir, as well as on the front facing the congregation. The organ is further augmented by digital stops of the highest quality from Walker Technical Company that round out the Pedal division as well as the String, Celestes, and Reed stops of the organ. The Digital technology incorporated in this new rebuild allows the organist to have multiple levels of combination action, a transposer, and full MIDI interface. MIDI feature allows unlimited future musical expansion, allowing the organ to control any other type of MIDI instrument or sound module. With the completion of this organ in 1998, our church now houses the largest pipe organ in the city. 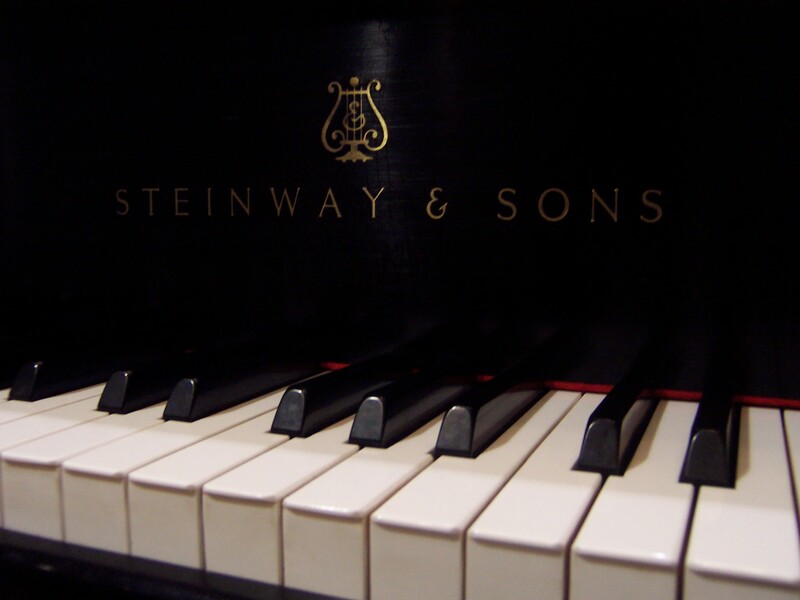 The church is also home to a 2001, Steinway - 7 foot Grand Piano. The church has 4 Octaves of Schulmerich Hand-bells, and 5 Octaves of Shulmerich Hand-chimes.